A man has been charged after a car allegedly stolen from a street in Aberdeen was traced by police in Edinburgh. Officers confirmed the car was found in Edinburgh on Monday. Items were also allegedly stolen from a silver Audi Q3 at Langdykes Avenue and a blue Ford Fiesta at Allison Close. 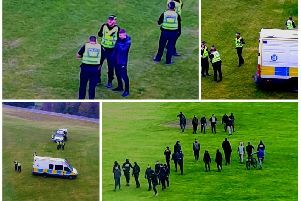 Detectives say enquiries are still ongoing and are asking anyone who recalls hearing or seeing suspicious behaviour in the Cove area of Aberdeen over the weekend to come forward. Detective Inspector Fionnuala McPhail said: “One man has been charged in relation to these incidents however our enquiries are still very much ongoing. “If anyone recalls hearing or seeing any suspicious behaviour in the Cove area of Aberdeen on Saturday or the early hours of Sunday morning I would ask that they contact us on 101, quoting reference 1105 of 13 January.